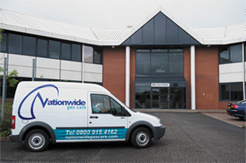 With offices across East and Central Scotland, Nationwide Gas Care is dedicated to providing the highest quality and best value heating installation and maintenance services to the nation. With a history dating back to 1993, Nationwide Gas Care is Scotland's only national independent home maintenance network offering a full range of home maintenance plans, boiler replacements and heating upgrades and new installations. There's plenty of good reasons to choose Nationwide Gas Care and with highly competitive pricing, cash back and finance offers available, why go anywhere else?